Today in Masonic History Robert Huston Milroy is born in 1816. Robert Huston Milroy was an American Civil War General. Milroy was born on June 11th, 1816 near Canton, Indiana. At the age of 10 his family moved to Carroll County in Indiana. In 1843 he graduated from Norwich University in Norwich, Vermont. After graduation he briefly moved to Texas and returned to Indiana in 1847. In 1850 he graduated from Indiana University Law School. He would go on to pass the bar and become a judge in Rensselaer, Indiana. Just before Abraham Lincoln was inaugurated, Milroy recruited a company for the 9th Indiana Militia. He was appointed captain soon after the attack on Fort Sumter. Just a few weeks later he was appointed as a colonel in the Federal service leading the 9th Indiana Infantry. 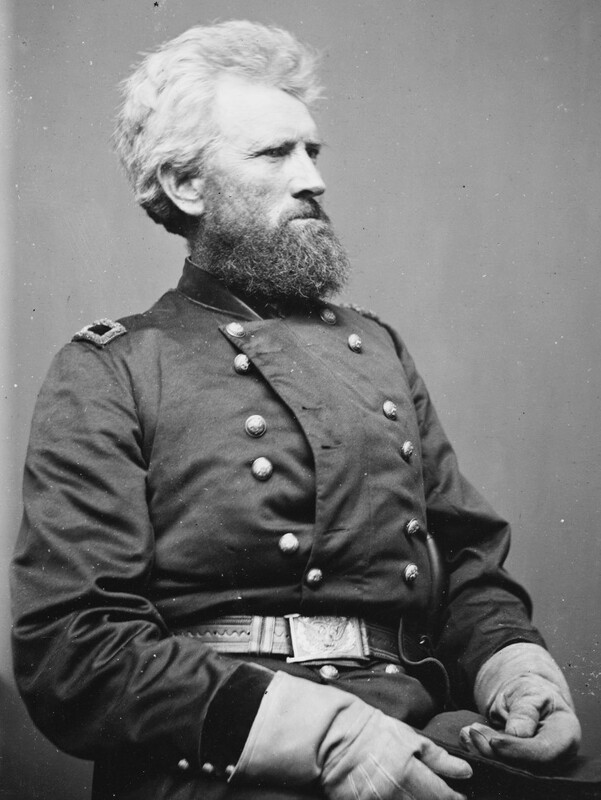 As part of the 9th he participated in the western Virginia campaign and was promoted to brigadier general. As a brigadier general Milroy was put in charge of the Cheat Mountain district of the Mountain Department. It was in that command that Milroy faced Maj. Gen. Thomas J. "Stonewall" Jackson during what is known as Stonewall Jackson's Valley Campaign. Milroy engaged in a "spoiling attack" against Jackson's forces and inflicted heavier than expected casualties than expected. Although the Confederate troops held their ground. In 1863, Milroy faced the low point of his career. Milroy was holding the town of Winchester. There his 6,900 man garrison was "gobbled up" by Confederate forces. A series of issues led to Milroy's defeat including miscommunication from superiors and a lack of good intelligence on the movement of Confederate forces in the area. Milroy treated the local towns people of Winchester poorly, so poorly that pro-Union towns people changed their view points and supported the Confederates. Milroy and his staff escaped Winchester and approximately 3,000 members of Milroy's garrison were taken prisoner. Milroy would face a court of inquiry for his failure. After 10 months he was found to not be culpable for the loss at Winchester. After the Winchester incident, Milroy saw very little combat. One of the exceptions was the Third Battle of Murfreesboro. In the battle Milroy, hoping to erase the failures of Winchester, charged a Confederate position that he thought were dismounted calvary. It turned out to be a Confederate infantry unit. His unit took heavy casualties and was quickly reinforced. Milroy resigned his commission in 1865. After the war he became the superintendent of Indian affairs in the Washington Territory serving from 1872 to 1875. For the ten years following that he served as an Indian agent. He spent much of the time ensuring that the aging chief of the Yakama tribe, Chief Kamiakin was not evicted from his tribal lands by ranchers. Milroy passed away on March 29th, 1890. Milroy was a member of Prairie Lodge No. 125 in Rensselaer, Indiana. He demitted from the lodge in 1866, there is no indication that he joined a lodge in the Washington Territory.